In addition to helping those around us, we also show a collective respect for the environment through our company’s attention to conservation and recycling. 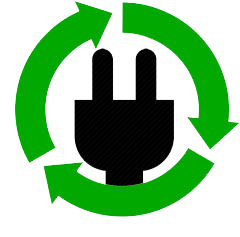 According to the EPA, electronic waste (also known as “e-waste”) is the fastest growing municipal waste stream in America. E-waste refers to electronic equipment that’s near or at the end of its immediate useful life and can include cell phones, computers and notebooks. Currently, e-waste represents 2% of America's trash in landfills, but equals 70% of overall toxic waste. To put this in perspective, there are 20 to 50 million metric tons of e-waste disposed worldwide every year. Only 12.5% of that e-waste is currently being recycled. In 2012 alone, the U.S. generated over 9 million tons of e-waste with the majority being sent to landfills. 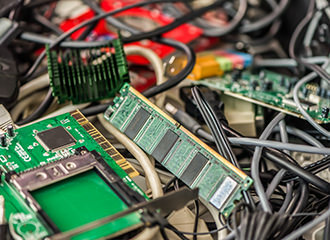 Furthermore, a large amount of what is considered e-waste is actually not waste at all, but rather whole electronic equipment or parts that are readily available to be reused or recycled. In 2008, we recognized the importance of properly recycling our used electronics. Since then, we have recycled over 93,000 pounds of equipment – including computers, printers, monitors, registers, keyboards, network equipment, phones and credit card machines. We encourage others to join us in reducing our carbon footprint and supporting the preservation efforts for our shared environment.